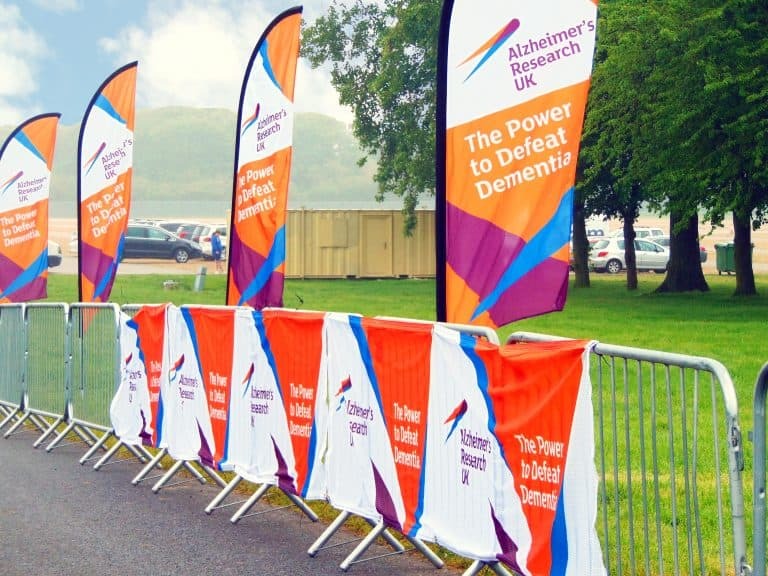 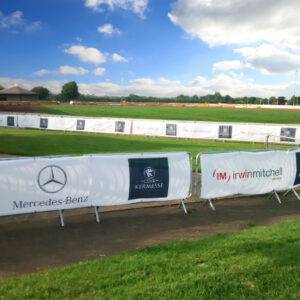 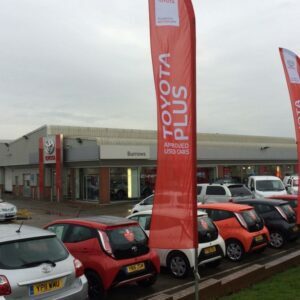 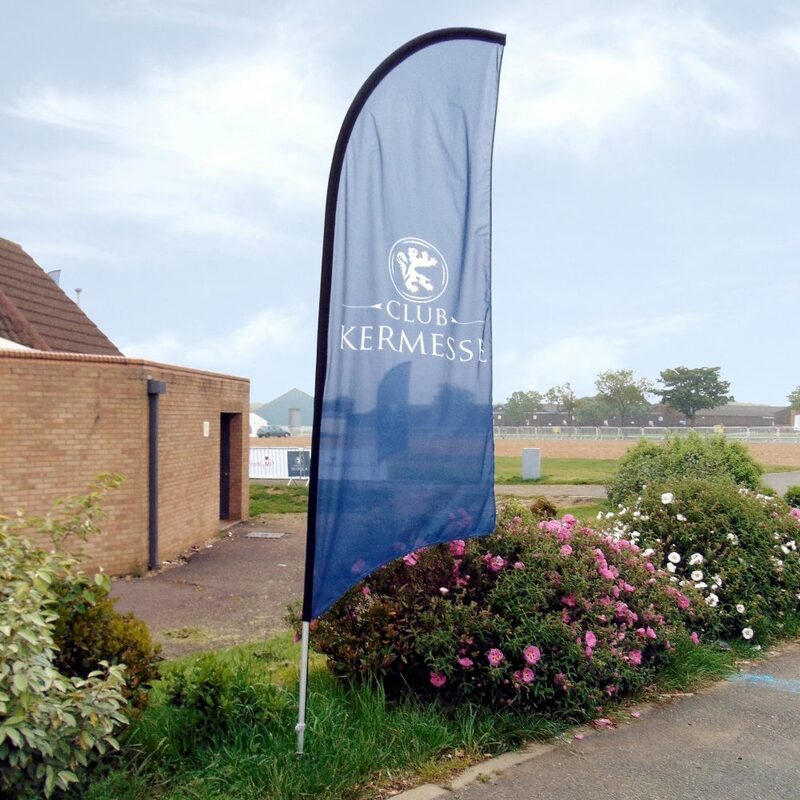 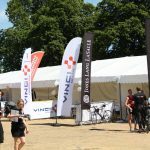 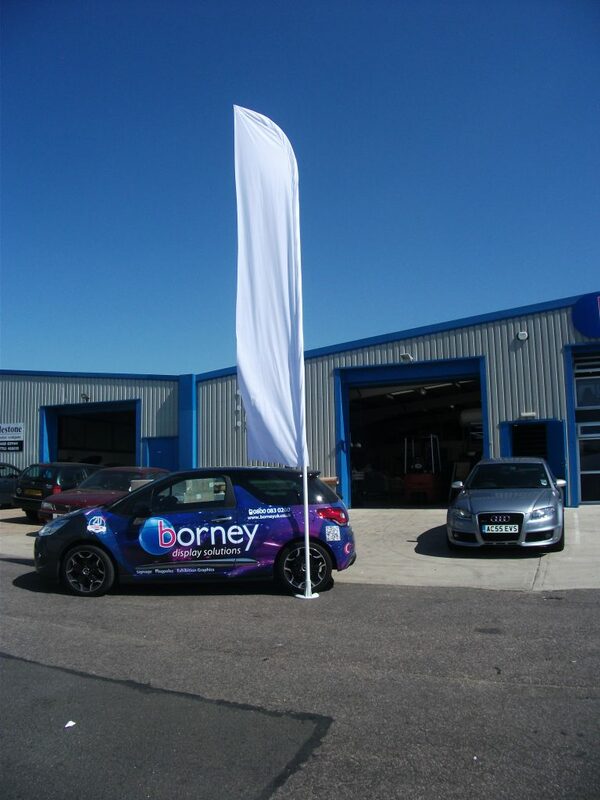 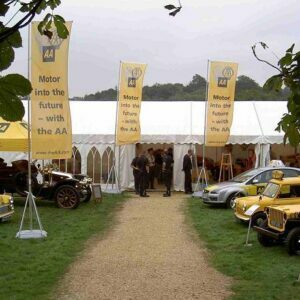 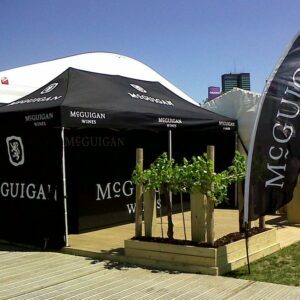 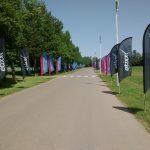 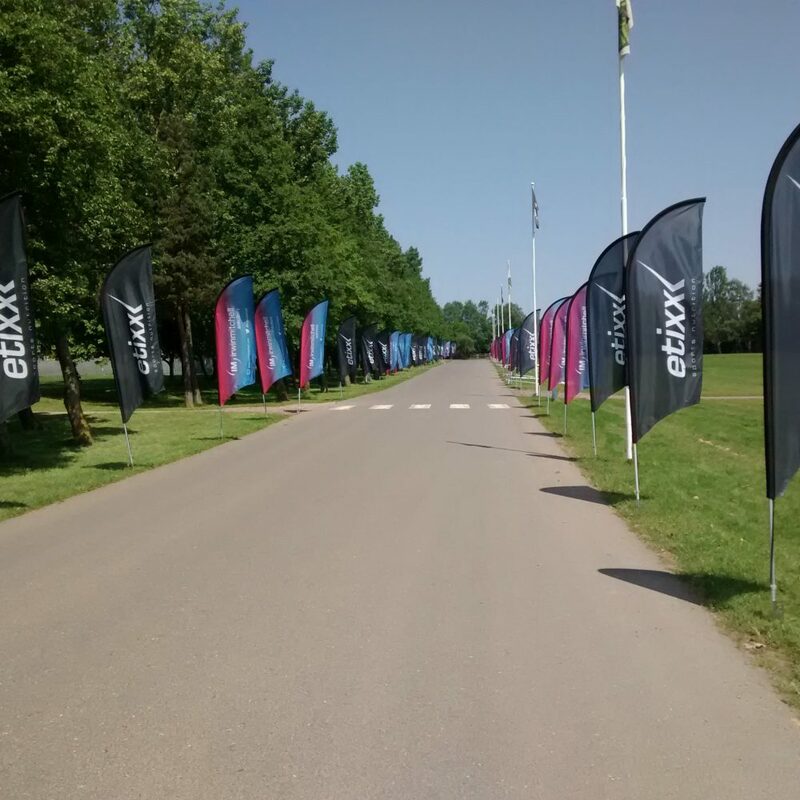 Our portable feather flags are great flags for forecourts, shop fronts, exhibitions and indoor or outdoor events. 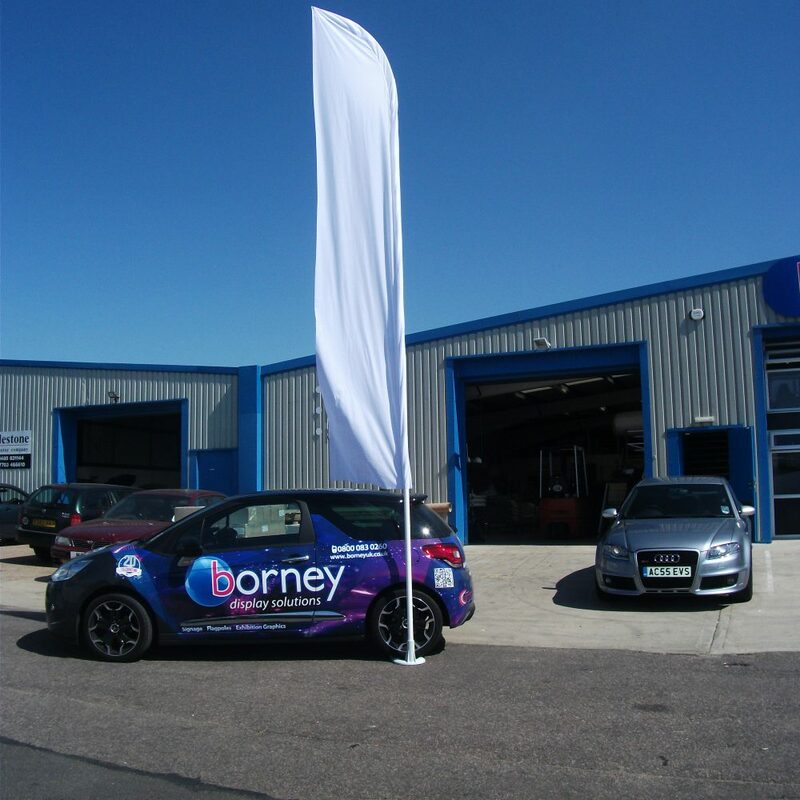 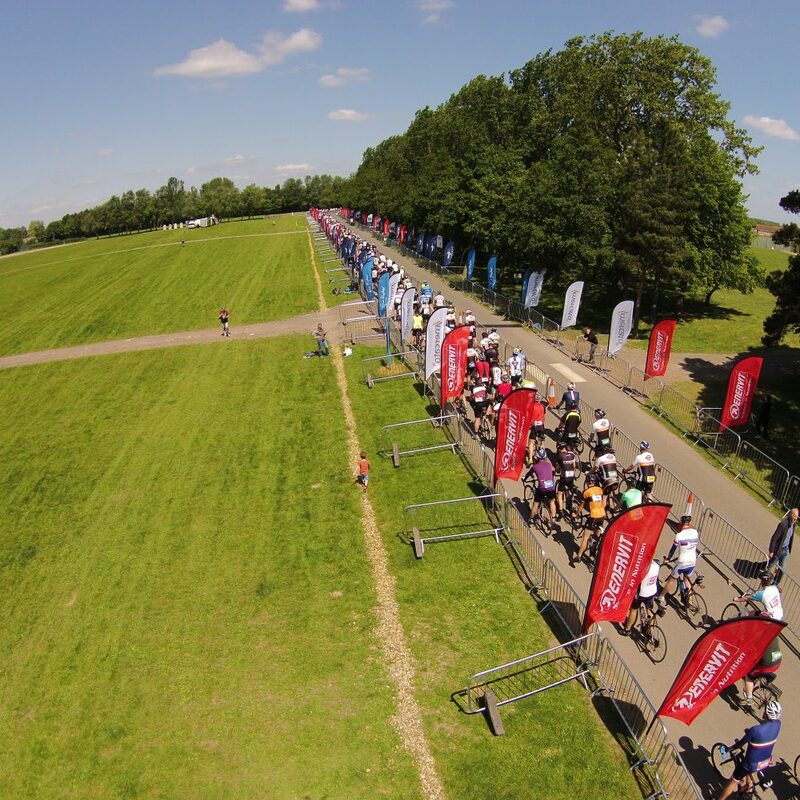 Each flag has an aluminium flagpole that separates into sections for easy transportation. 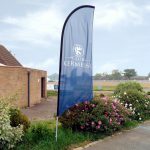 5.5m Ultimate Pole - 2 section white powder coated aluminium pole with fiberglass flexi-arm, single-sided ultimate flag only, rubberised, heavy-duty wheelfoot base only.